Just outside the lively city of London you’ll find a haven of peace and tranquility - Sequoia at The Grove provides its guest with the ultimate relaxing retreat away from the stresses of modern day life. The Grove is a luxury five star hotel set in 300 acres of picturesque Hertfordshire countryside. This country estate was once the home of the former Earls of Claredon and has been carefully restored to protect its lavish history as well as to provide its guests with modern day, luxury facilities. Sequoia at The Grove offers its guests a range of relaxing treatments and spa days to indulge in and has something on its menu to suit anyone and everyone. Sequoia at The Grove a wide range of treatments including facials, body wraps, body scrubs and a variety of different types of massages. It also offers an extensive range of treatments designed specifically for men. The Grove is home to a championship golf course that stretches across over 7,000 yards of well-maintained greens. The spa itself benefits its guests with the use of the state of the art fitness studio with personal trainers on hand to help you to make the most of the facilities. The exercise studio offers guests complimentary fitness classes such as yoga, Pilates and aerobic fitness sessions. 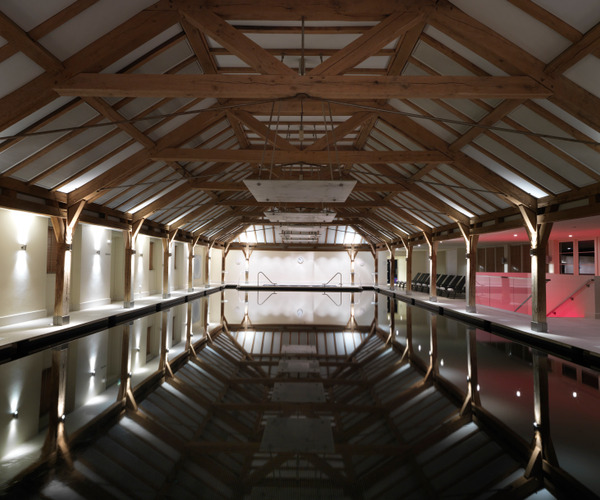 The luxury heated indoor swimming pool is the ideal place to unwind after a session in the gym and the soothing Jacuzzi and steam room with soothe any aches and pains. During the summer months guests can enjoy the large outdoor heated pool and play on the volleyball or tennis courts or try your hand at a little croquet. The Grove even has its own artificial beach to give that true holiday feel. The Grove has plenty of rooms for its guests to choose from, the Mansion House has 26 rooms and suites each of which capture the antiquity of the country estate and yet have plenty to of modern features to ensure that your stay is as comfortable as possible. 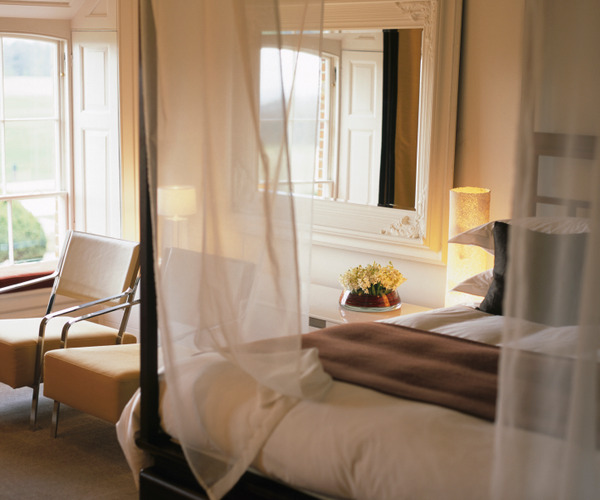 The contemporary West Wing has 191 luxury guest rooms which have beautiful views across the hotel’s extensive grounds. There are also certain rooms which you can bring your pet along to stay in too. There are two restaurants catering to guests of The Grove, each offering a unique dining experience. The Glasshouse provides guests with an international style buffet which the chefs prepare in front of you, while The Stables offers delicious food in a relaxed atmosphere from The Grove’s original stable block. The Grove also has four lounges which offer light meals and a delicious Afternoon Tea.